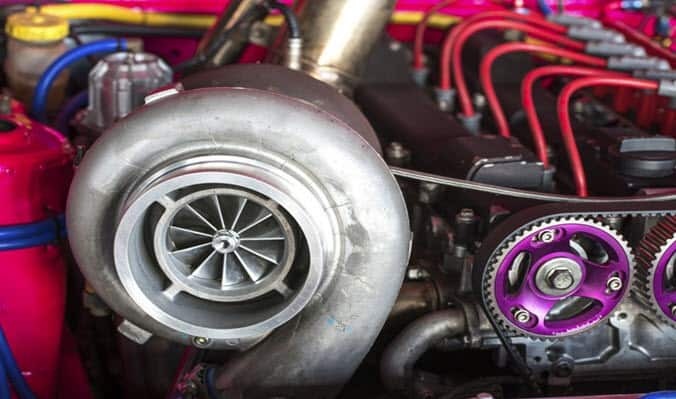 Home » Tips & Tricks » How to take care of Turbocharged Car? With the increased engine downsizing trend, most of the newer engines are turbocharged nowadays. According to IHS automotive, by 2021, around 38 per cent of all new vehicle sold in the US will be turbocharged. This brings us to a question that how do we take care of a turbocharged car? There are basically four tips for taking care of your turbocharged car: Warm up the engine before flooring, Follow turbo cool down procedure, don’t lug the engine in higher gear, and use good quality engine oil. Do we need to do all this for newer cars also? When do you need aftermarket blowoff valve? Most wear and tear to the engine happen due to revving the engine just after the cold engine start. This habit is bad not only for turbocharged cars but also for naturally aspirated cars. This is mainly because, in a cold engine, the engine oil gets settled down in the oil pan. The critical areas like crankshaft, piston pins, cam bearings, piston rings, and Turbocharger bearings are deprived of oil, hence lubrication. You can imagine why it’s important not to floor the throttle when the engine is still cold. This lack of optimal lubrication during the initial 10 to 15 minutes of startup means that engine is most susceptible to wear and tear. Most modern car manufacturers don’t suggest idling the engine for warming up. Instead, they say that start the engine and drive the car sedately until the engine temperature reaches the optimal operational level. This may take around 10 to 20 minutes for your car. Turbochargers can get really hot and can even glow orange with heat when you come back from a spirited drive. Even if you have been cruising at high speed on the highway, the turbos keep spinning at high rpm and get really hot. That’s why you need to cool them down before shutting off the engine. 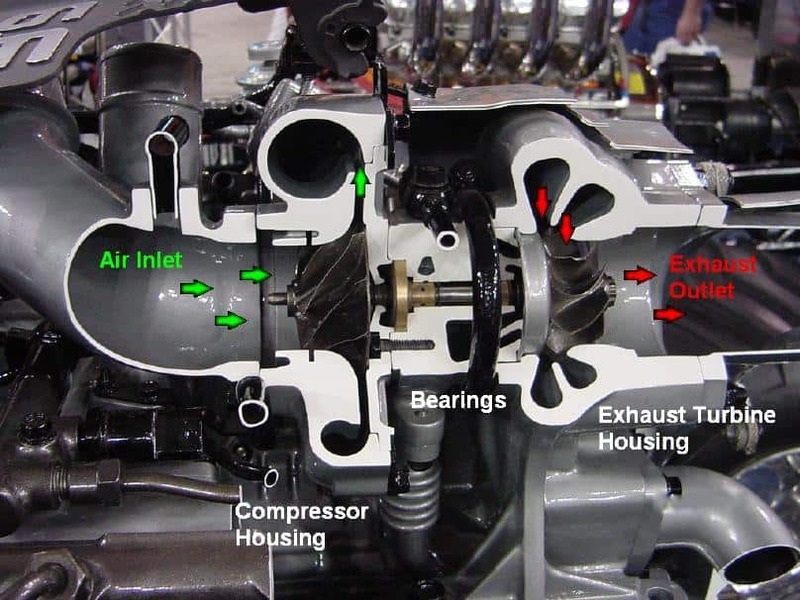 Traditionally, turbochargers are cooled by the engine oil that is fed to the turbo bearings. Let the engine idle for a minute or two so that turbos can be cooled by flowing oil. It’s also a good habit to drive last few kilometres to your destination sedately. When the engine is shut off without following the cool down procedure, the oil that is collected near the turbochargers starts burning and can gunk up the system. Over time, this may lead to harder to spool turbo, obstruction in oil line. All this ultimately increases the wear due to lack of lubrication. Some newer cars, however, comes fitted with a system that continues to turbo cool down procedure even when the engine is shut off suddenly. So, even when you shut the engine off, the oil keeps flowing through the turbochargers for a few minutes. I witnessed this system first hand in the BMW M3 F80. Lugging the engine in the higher gear is bad for all kinds of engines. If you have an automatic transmission car, then you don’t need to worry about it. But if you drive a manual car, then it’s best not to increase the engine load at lower rpms. Imagine you are driving up the inclined hill, then it’s best to keep the engine spinning at fairly normal speed. If you are in high gear, sitting at low rpm and demand extra power to climb up the hill, the turbocharger and other engine components will be a lot more stressed. If you look at any dyno sheet of a car, you will notice that engine make peak torque and power and certain rpm. That is the point where it’s working very efficiently (powerband). Doesn’t it make sense to keep the engine is its powerband when climbing an incline? So next time, don’t be lazy and drop a gear when you ask more from the car. Don’t think that lugging the engine will save you fuel because you are not revving the engine. In fact, you are just wasting the fuel by lugging the engine as it’s not getting burnt properly. Oil if the lifeblood of your car. And think of turbocharger as an added organ that also needs its own oil supply. We have talked previously about why engine oil helps lubricate and dissipate heat away from critical areas. Oil in a turbocharged car can get really hot, more than 204 degree celsius. This is about double of what oil temperatures can get for a naturally aspirated engine. With this constant abuse, the oil starts deteriorating after some time. The oil change interval is always mentioned in your service manual, and you should follow it. However, you also should note that intervals for the newer vehicles have become a lot longer than before. This is due to the advancement in oil technology, engine component quality improvement, and also due to environmental reasons. Yes, engine oil is bad for the environment as it’s difficult to dispose off, therefore manufacturers are forced by governments to extend this oil change interval. This is not necessarily good for the health of your engine so I always recommend changing the oil sooner than what your manufacturer suggests. Personally, I change the engine oil in my car every 9,000 km. What kind of oil should you use? Well, any fully synthetic oil that meets the manufacturer specs is what I would recommend as the best oil for turbocharged cars. The Synthetic oils are better optimised to do its job- they lubricate well and their burning point (flash point) is higher than the regular engine oil. This means cleaner engine and oil galleries. Note: Don’t just use any synthetic oil. It should meet the grade, for example, 10W50, and should not have any additive in it that manufacturers do not want. Since most diesel vehicles are fitted with Diesel Particulate Filter (DPF) these days, it’s important to note that high amount of sulphur in oil could block the particulate filter early. The above-mentioned tips are well known amongst the enthusiasts but a regular consumer just wants to drive his car without worrying about all this. This urged the car manufacturers to integrate fail proof systems that takes care of turbochargers all by itself. For example, the latest turbocharged cars, expensive ones at least, have a cooling system for the turbochargers. I am not talking about the oil feed but the cooling system that uses coolant for controlling temperatures around the turbos. This cooling system gets active whenever the temperature threshold is crossed. But it also stays active for a few minutes just after you shut off your car. This, in theory, makes the turbo cool down procedure useless. However, I don’t want you guys to be lazy and rely completely on this system. Just follow the cool down process and don’t let the oil sit for long near the hot regions of the turbo (takes just 1 minute). Additionally, the electronically aided turbocharging system is better at managing different driving styles by modifying its spooling characteristics. Previously, the car manufacturers use to give out special instructions for turbo cars. But, nowadays, it’s not even mentioned in the owner’s manual. All said I will still recommend everyone to follow the above mentioned 4 tips to keep their boosted cars healthy. There is not anything you can add to your engine oil or fuel that will help improve the turbo performance. That’s because turbocharger just needs lubrication that’s provided through the oil sump. However, I did find some turbocharger additives online. What are these? Well, they are just needed when a new turbocharger is installed or the existing one is replaced. When the engine is started just after installing a turbocharger, it runs dry for some time until the oil pressure gets builds in the system. This makes it essential to apply lubricant before the engine startup after reassembling a turbo unit. That what these turbo additives are- A kind of grease made out of Molybdenum disulfide. One of the most common aftermarket add-on for a turbocharged car is a blow-off valve. Is it worth upgrading the blow off valve? let’s understand what it is first. It is a valve that sits between the intercooler and the intake port. It has one basic task- to release the extra boost pressure that gets builds up when you lift off the throttle. Imagine this- You have floored the throttle and turbo is spinning very fast to deliver the much-needed air into the engine. Now, when you lift off and close the throttle, the turbo is still spinning and generating boost. But since the throttle is closed this extra pressure has nowhere to go but to exert more force back towards the turbo and create resistance for the spinning turbo. This extra stress can lead to increased wear and tear of turboshaft and bearings. Blow off valve fixes this problem by releasing extra pressure outside the system or back into the pre-turbo pipe in case of the diverter valve. 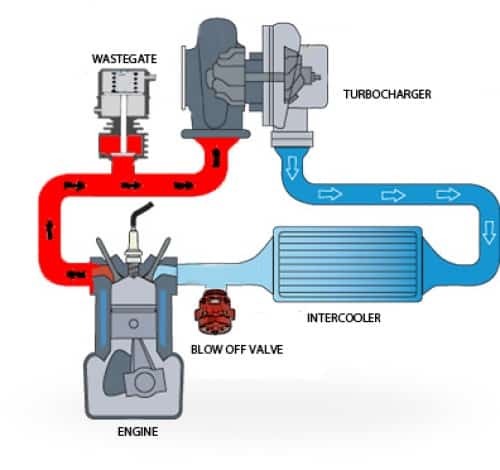 Apart from reducing wear and tear, it also ensures that turbo keeps spinning due to reduced resistance, so that when you get back on the throttle, there is no turbo lag since the turbo is already spinning. When do you need an aftermarket blowoff valve? Most people go for aftermarket blow-off valves because of the unique phsssh phsssh sound (doesn’t affect the performance). However, you should consider upgrading the stock blow-off valve if you have tuned the ECU for more boost pressure. The stock valve may sometime start leaking air at high boost (more than manufacturer tested it for). This leak can lead to an erratic running engine. High-quality aftermarket blowoff valve fixes this issue. Other than this there is no reason to go for an aftermarket valve. Read: Engine Remapping FAQs; should you do it? I hope now you have your doubts cleared about keeping your car’s turbocharger working like new. Keep this pointer in mind and they will become second nature in no time. Let me know in the comment if you have any queries. Happy motoring! Also see: Should you change transmission fluid? 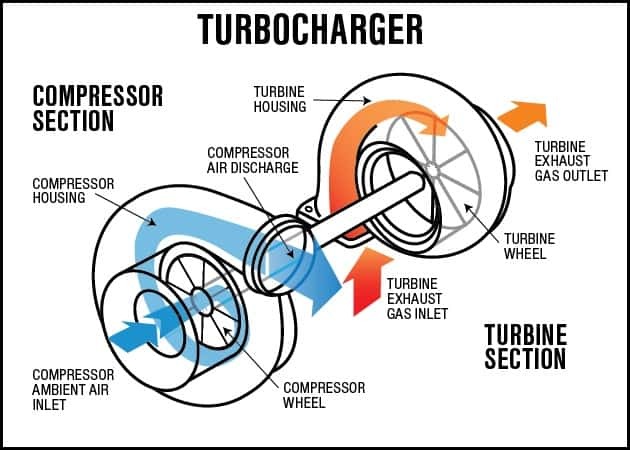 & What is variable geometry turbocharger? ← What is the Concept of Variable Geometry Turbo?